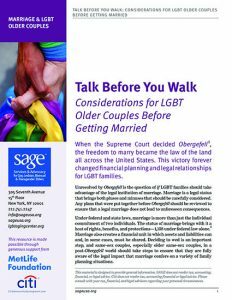 A host of variables—gender, generation, ethnicity, state of residence, and marital status—make financial decisions especially challenging for LGBT older people. 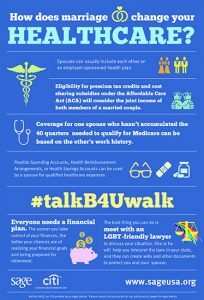 Ongoing legal discrimination, compounded with a lifetime of challenges, make it harder for LGBT older adults to become financially secure and provide for their families. 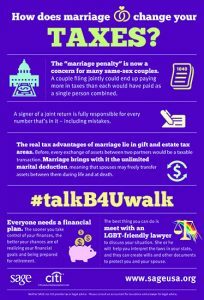 How Does Marriage Change Your Taxes? 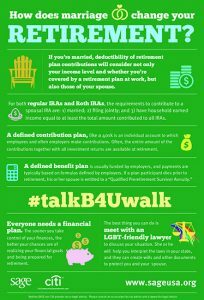 How Does Marriage Change Your Retirement? 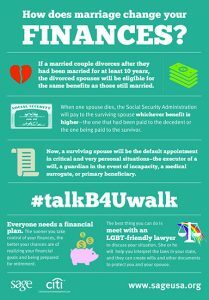 How Does Marriage Change Your Healthcare? How Does Marriage Change Your Finances?